Today 800 participants took part in a 5k run along Teignmouth Beach whilst being showered in two tonnes of rainbow-coloured powder paint. The fundraising event has pledged to raise an incredible £46,000 to help support local people with life-limiting illnesses across South Devon. The event village displayed a variety of games and activities for everyone involved to enjoy – one of which saw Mark Hawkins, Rowcroft’s CEO be dunked in the ‘dunk tank’ all in aid of Rowcroft Hospice. Participants also enjoyed an afternoon of live music from local bands including The Kaizens, Buried Hedz, Rich Cottell, and the Screemin’ Weezels. The event was also supported by a number of local businesses and a team of volunteers. 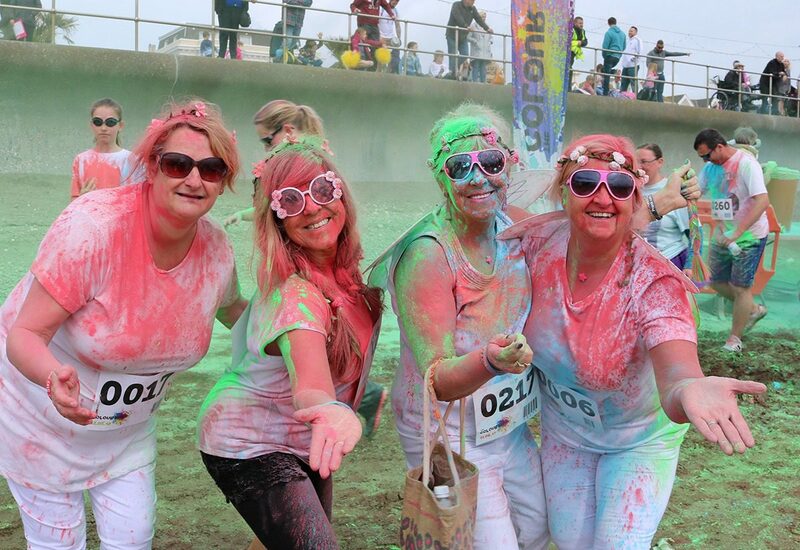 For many local people The Colour Rush isn’t just about having fun; it’s a chance to celebrate the life of a loved one and to raise much needed funds for the local hospice.